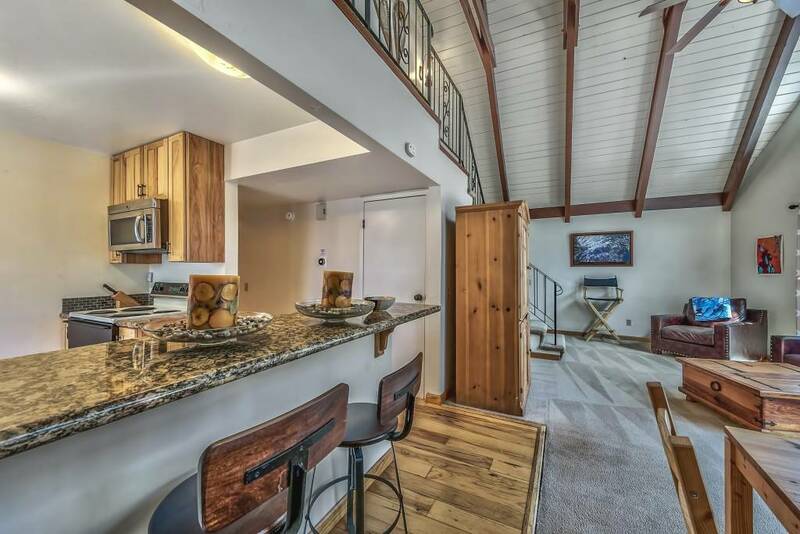 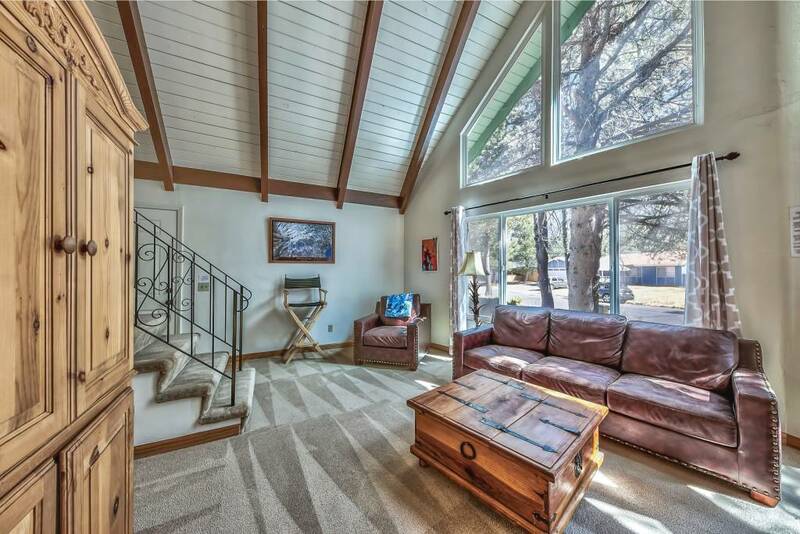 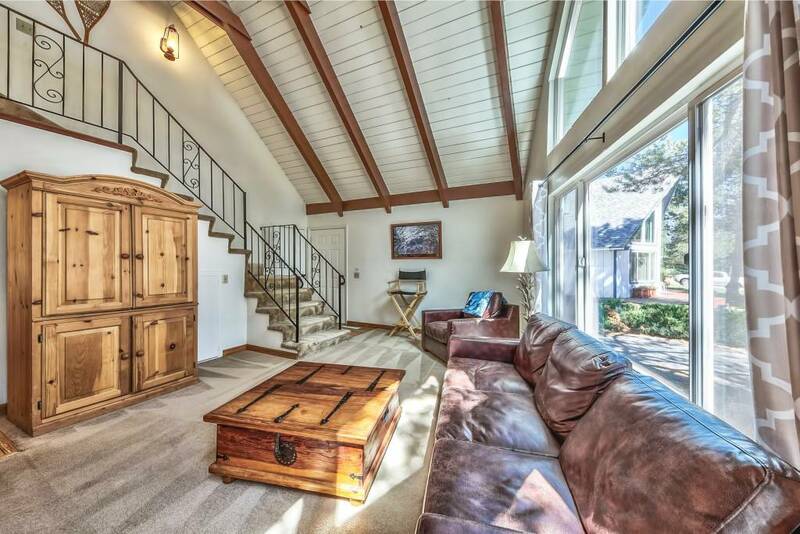 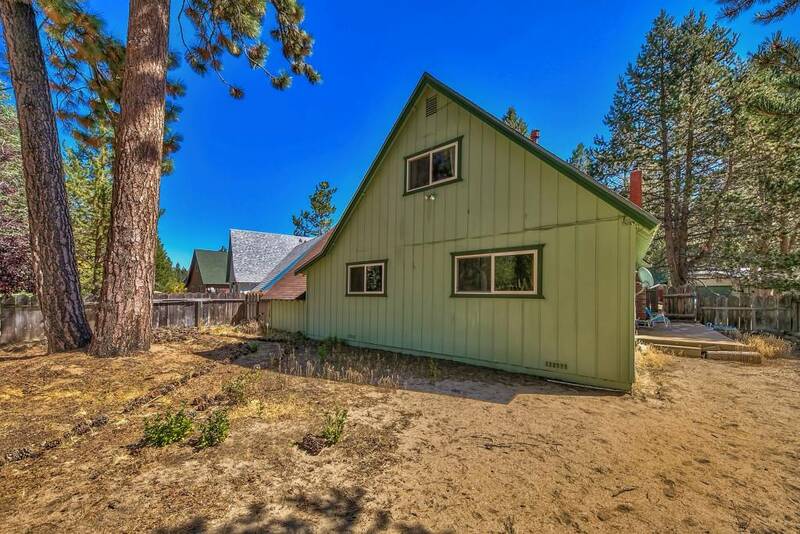 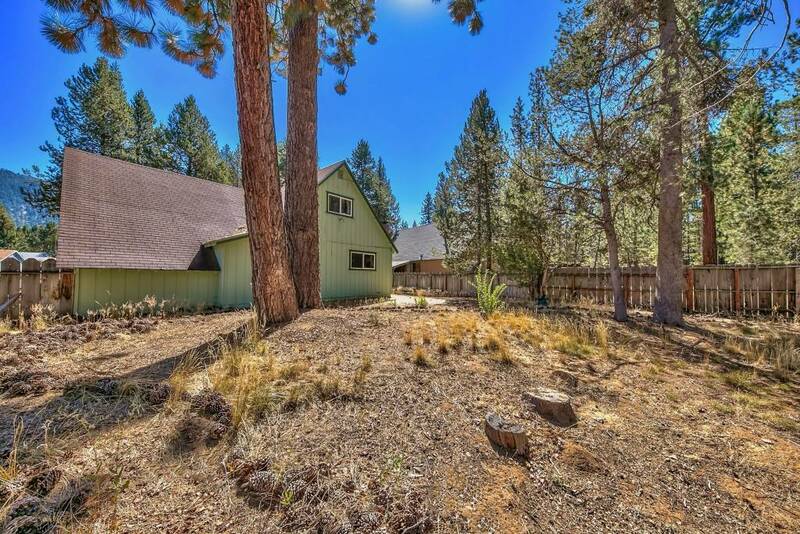 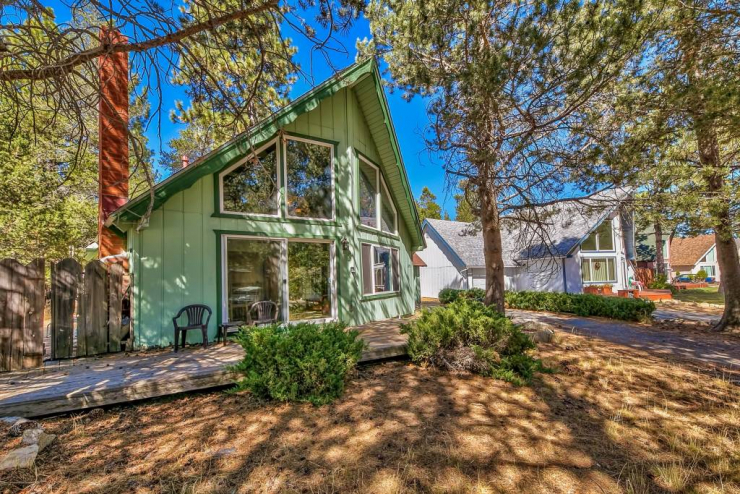 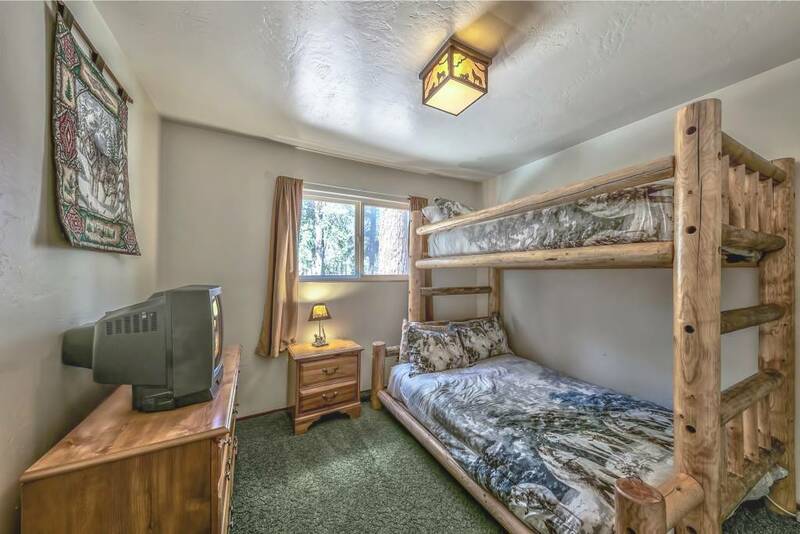 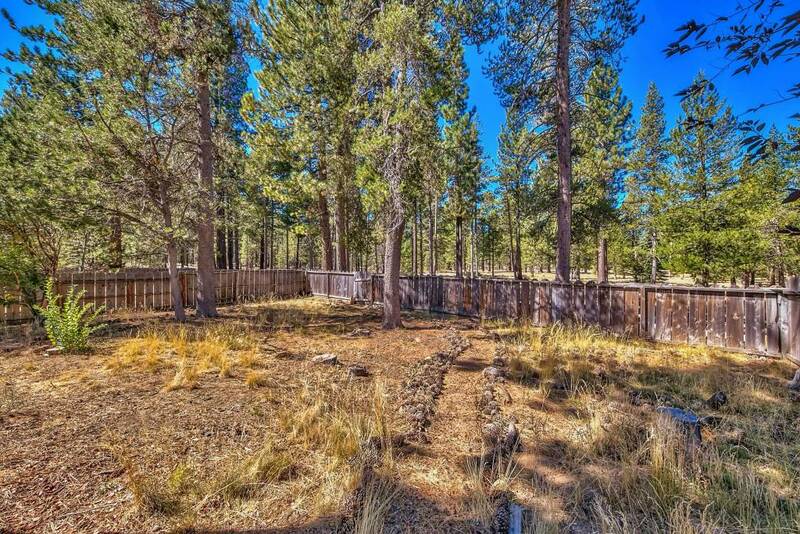 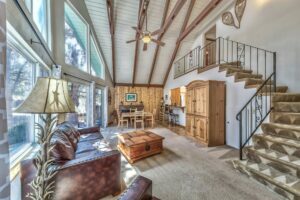 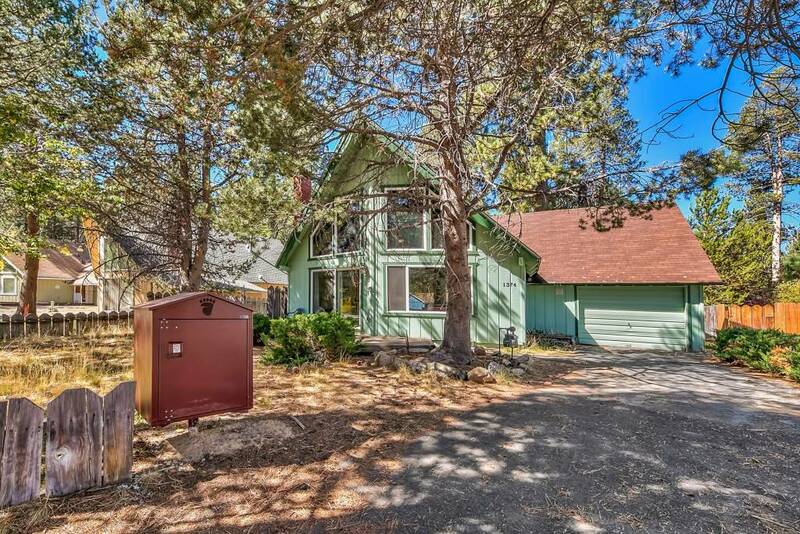 1374 Matheson Drive, South Lake Tahoe, CA 96150 is an updated Pioneer Village Chalet backing up to a 15 acre California Tahoe Conservancy parcel! 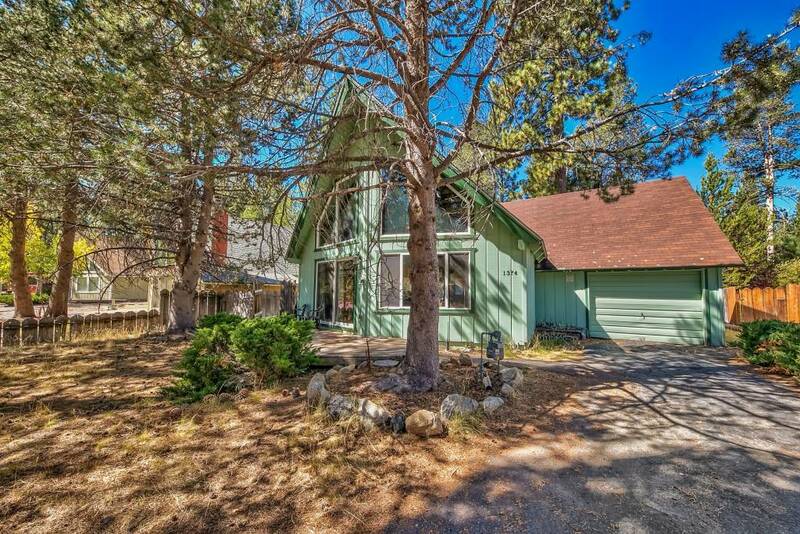 This classic chalet offers a peaceful and tranquil setting just minutes from Heavenly Ski Resort, the lake, and Downtown South Lake Tahoe. 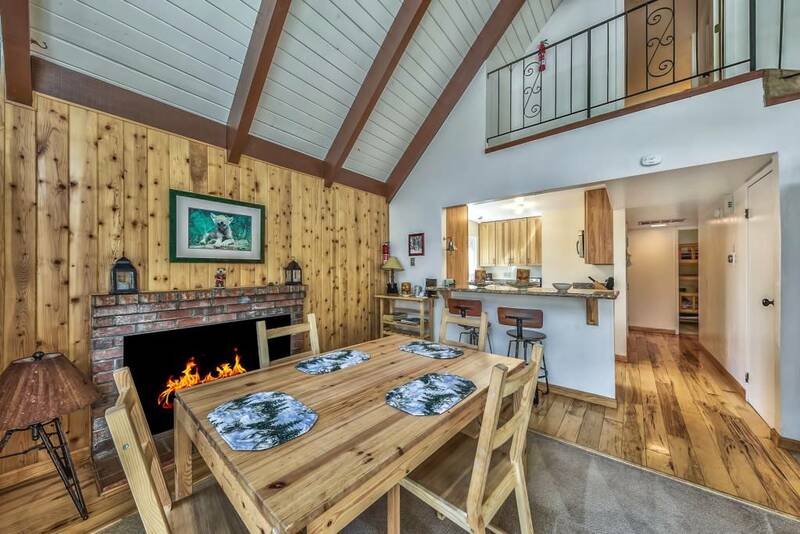 The light and bright open living area has tall vaulted open beam ceilings, oversize double pane vinyl frame windows, and an open burning fireplace. 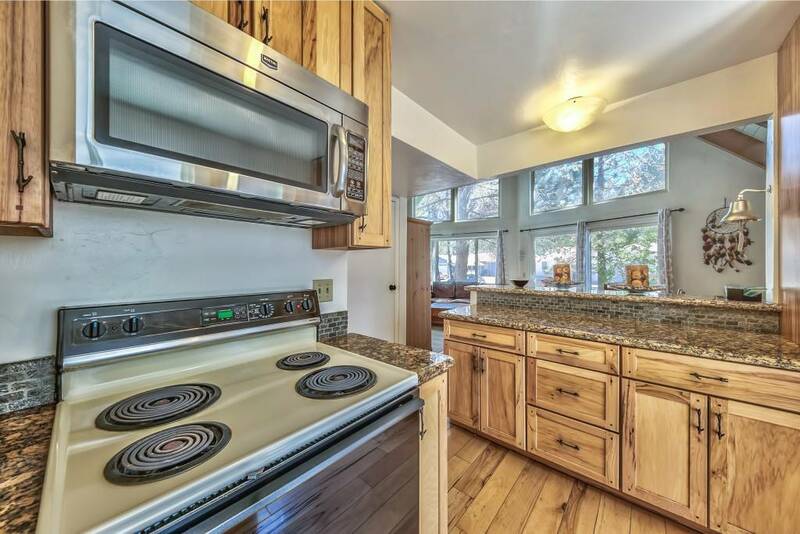 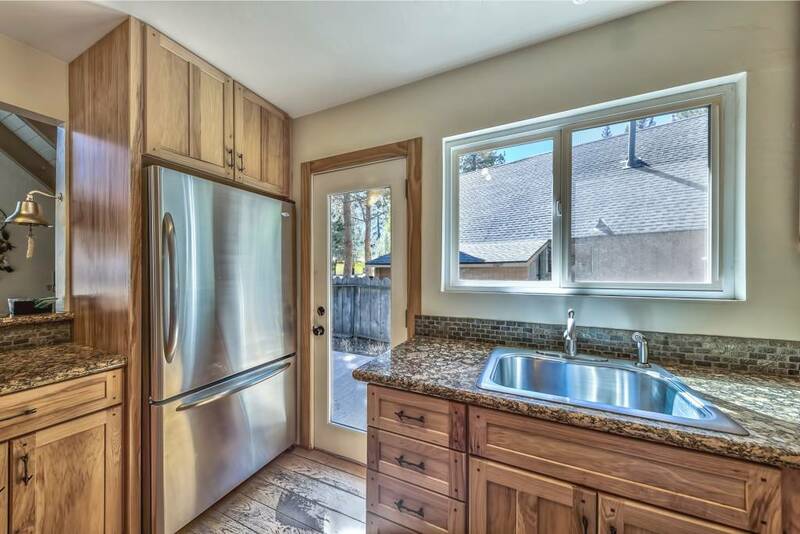 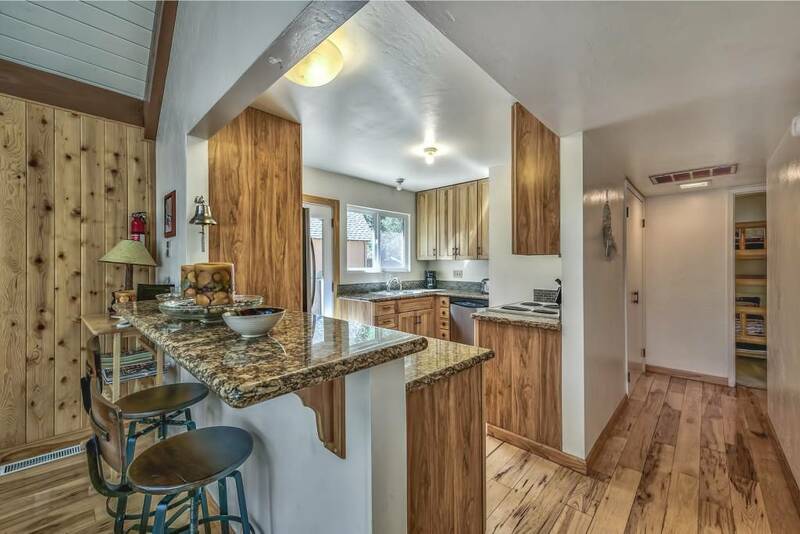 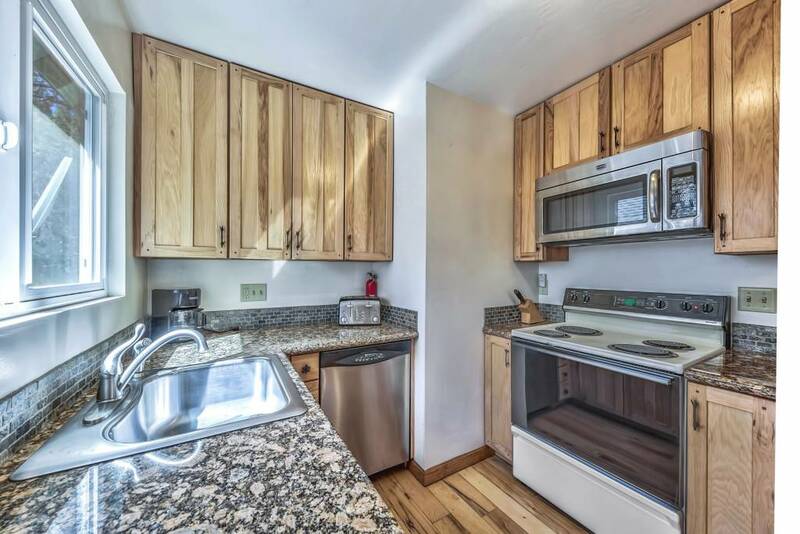 The kitchen has been updated with hickory hardwood cabinetry, granite slab counters, and hardwood flooring. 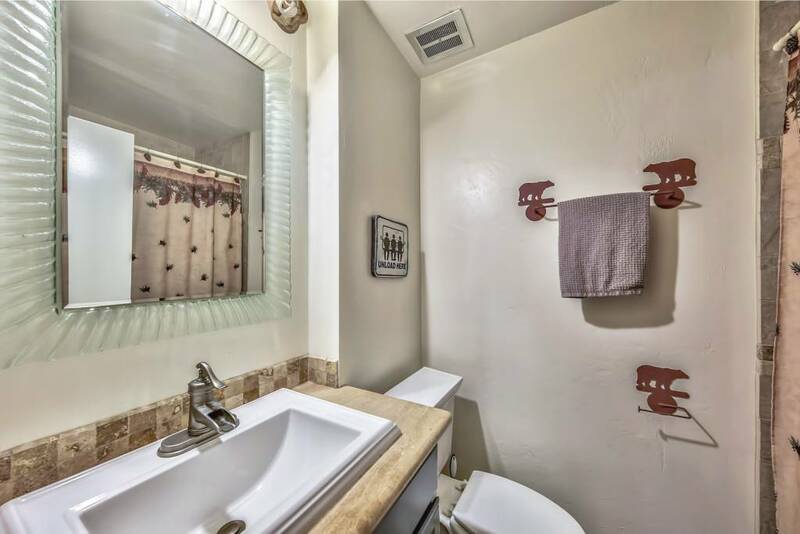 The downstairs bathroom has been remodeled with a custom tile shower, travertine slab countertop, updated fixtures, and tile flooring. 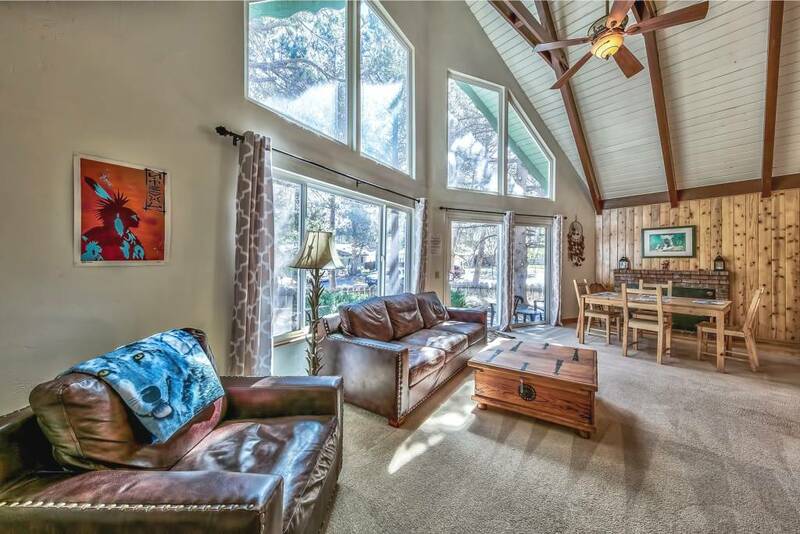 Also downstairs is two guest bedrooms overlooking the expansive Conservancy land. 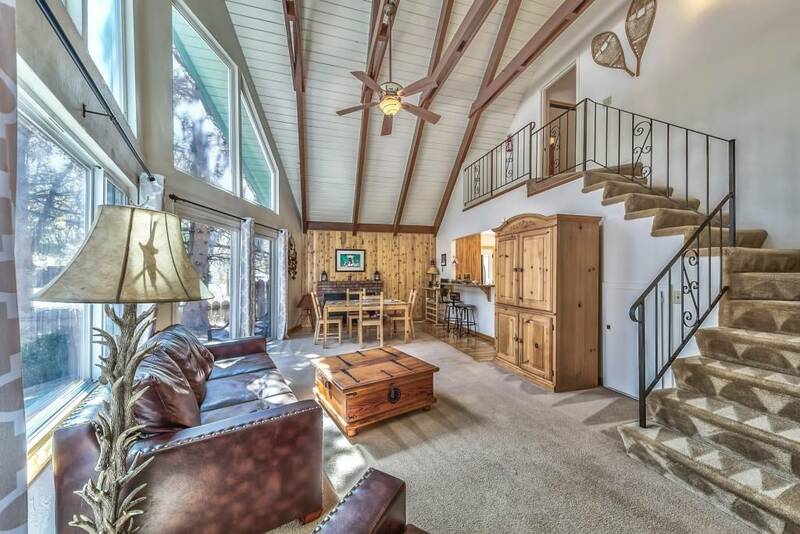 Upstairs is a private master suite and master bathroom. 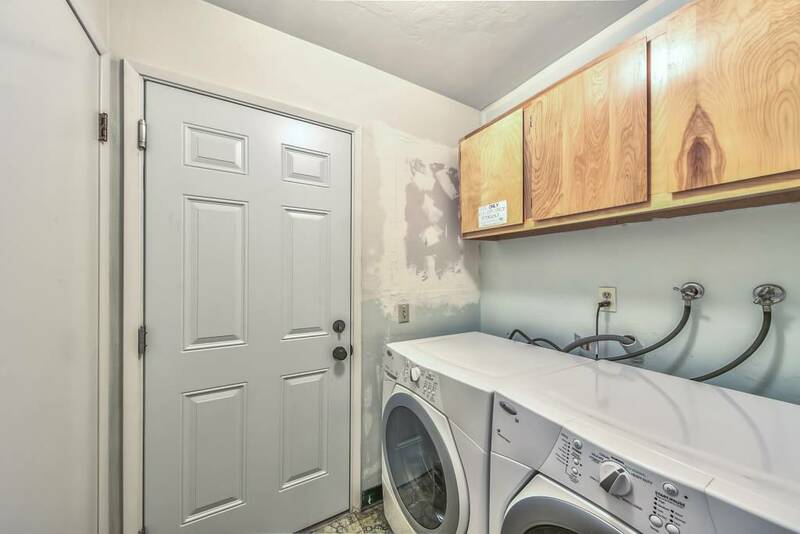 This is a great location to earn some sweat equity by sprucing up the exterior and putting your finishing touches on the inside! 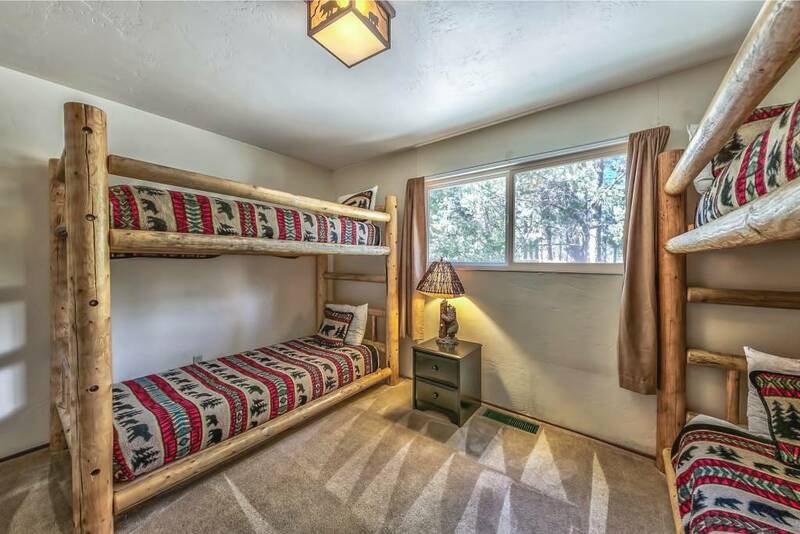 As a bonus, this property is to be sold mostly furnished per an inventory list!